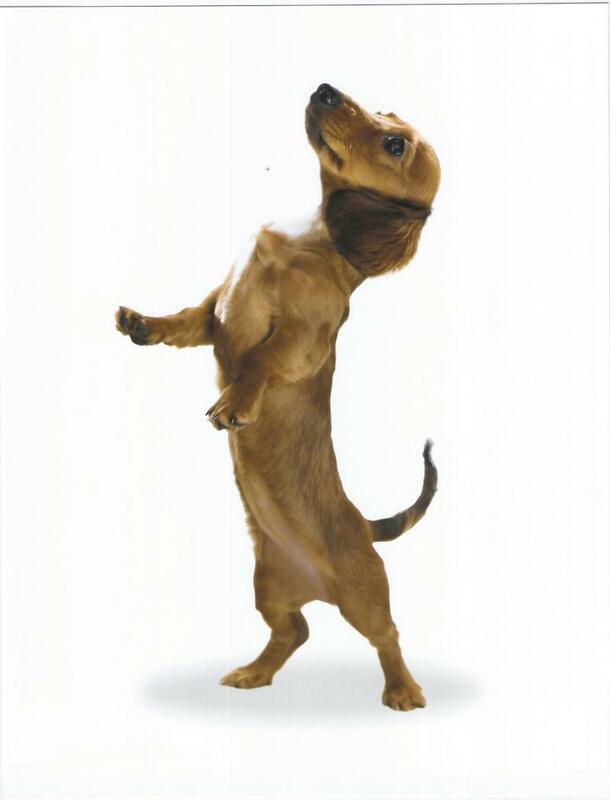 We have also just done another photo shoot with American Greetings, for some greeting cards. 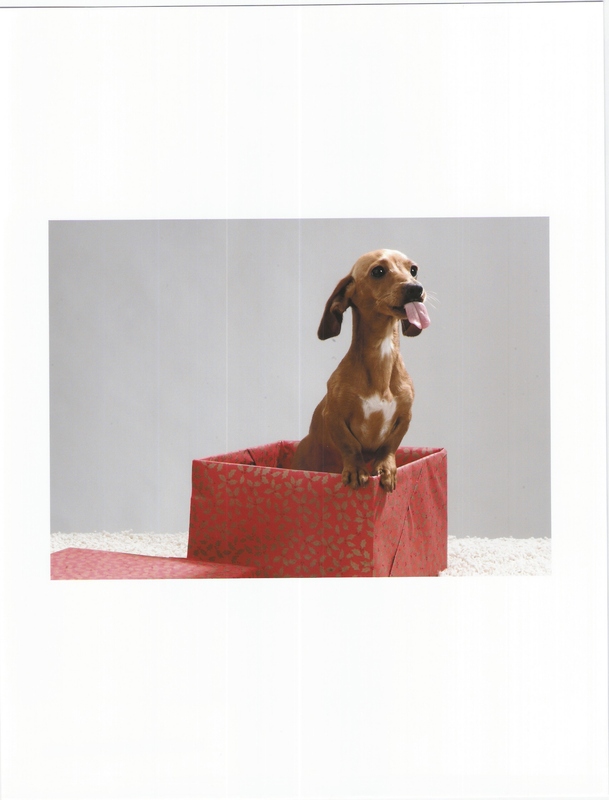 Here are a few new pictures from our photo shoot with American Greetings this spring and summer. 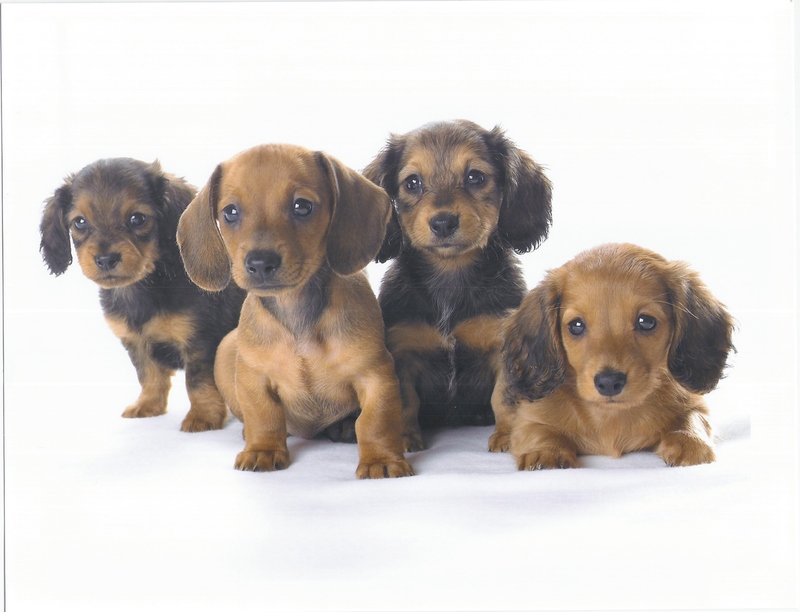 4 Adorable pups, pictured at 7 weeks old, sired by Elliott. Long hair and short hair pup sitting pretty, sired by Elliott. 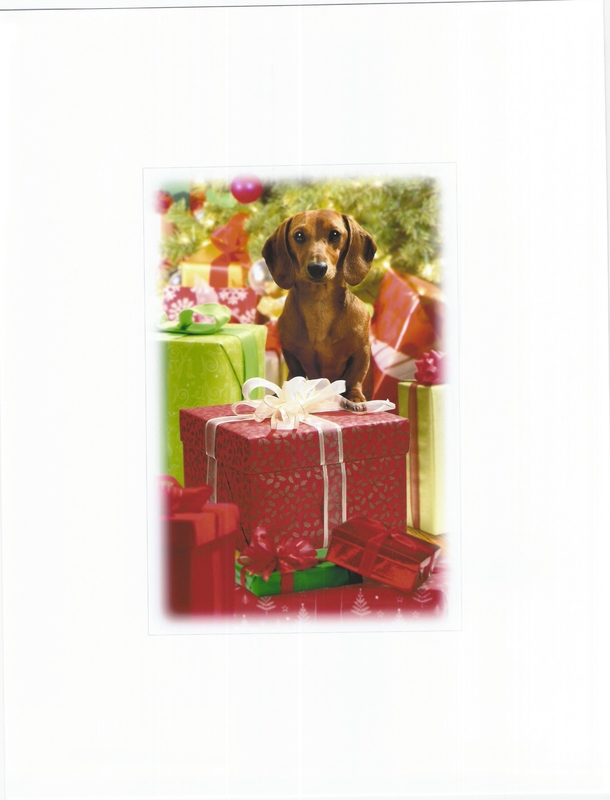 Elliots Christmas card from American Greetings is on sale now at Target stores. 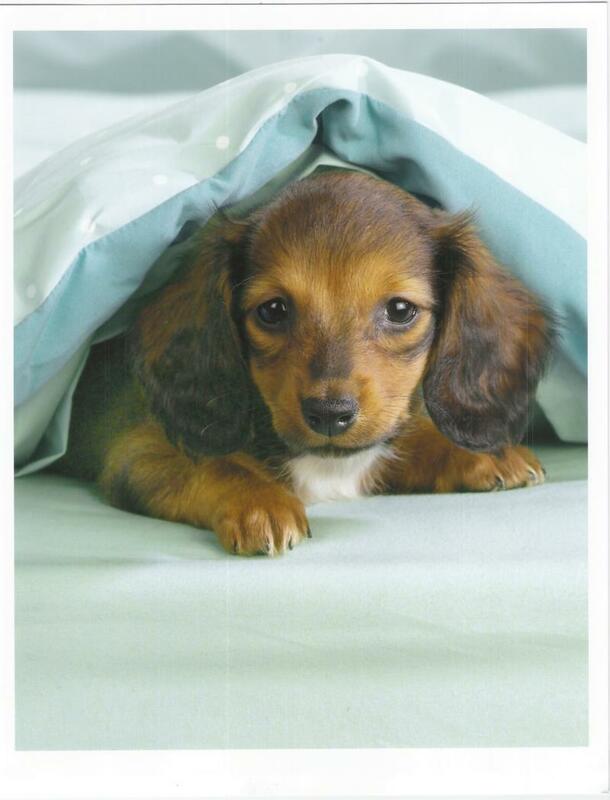 Blossom being a playful pup. Izzy sticking her tongue out at the photographer. 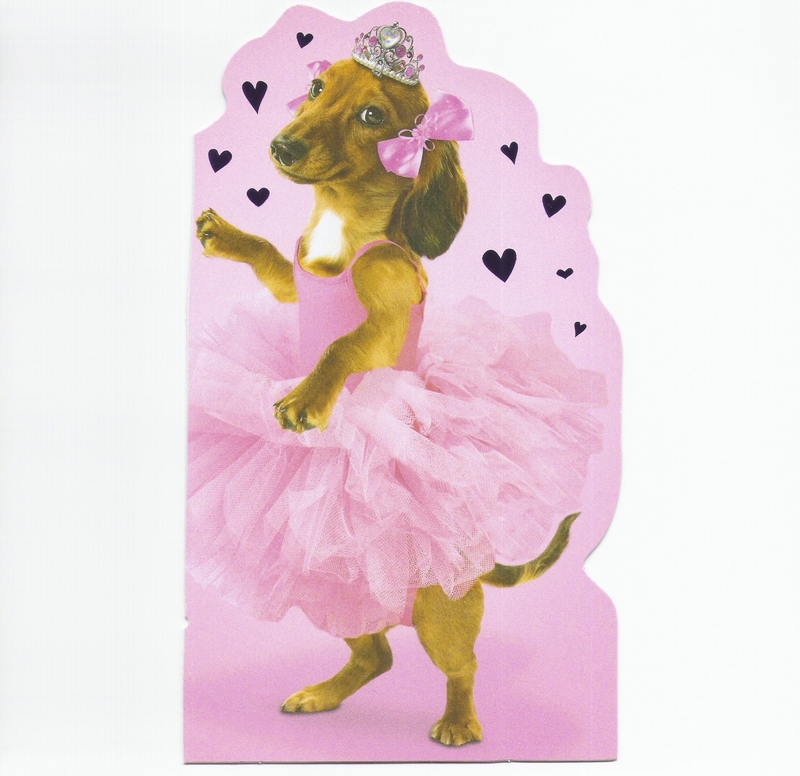 Blossom is pictured on a Valentines Day Card, dancing in a Tutu. 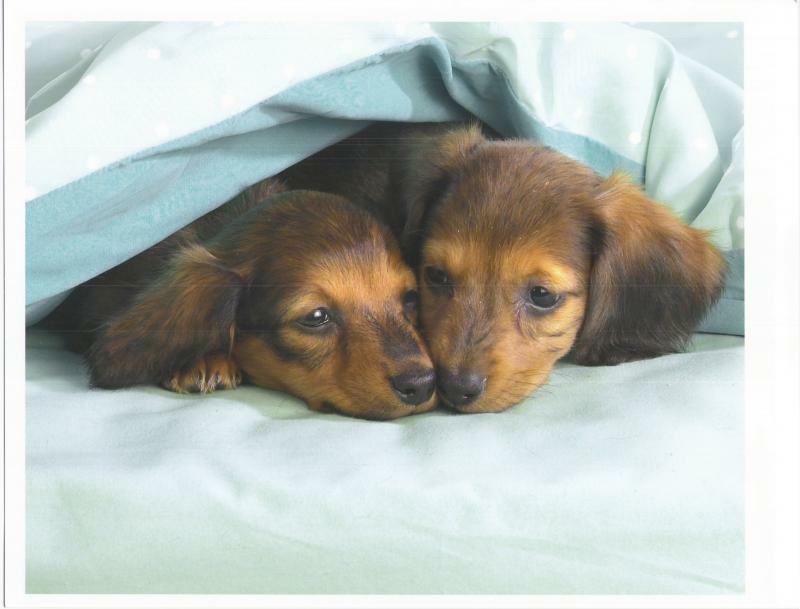 Sleepy puppies, 2 long hair reds. More sleepy puppies, it took almost 2 hours for the pups to tire out and get the sleeping shot they wanted. 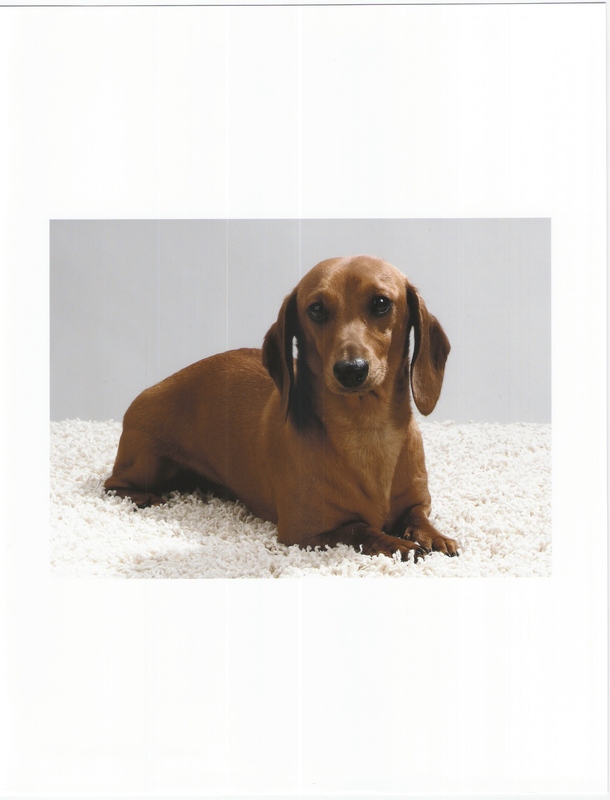 Handsome long hair red boy. Thank you American Greetings for bragging rights. 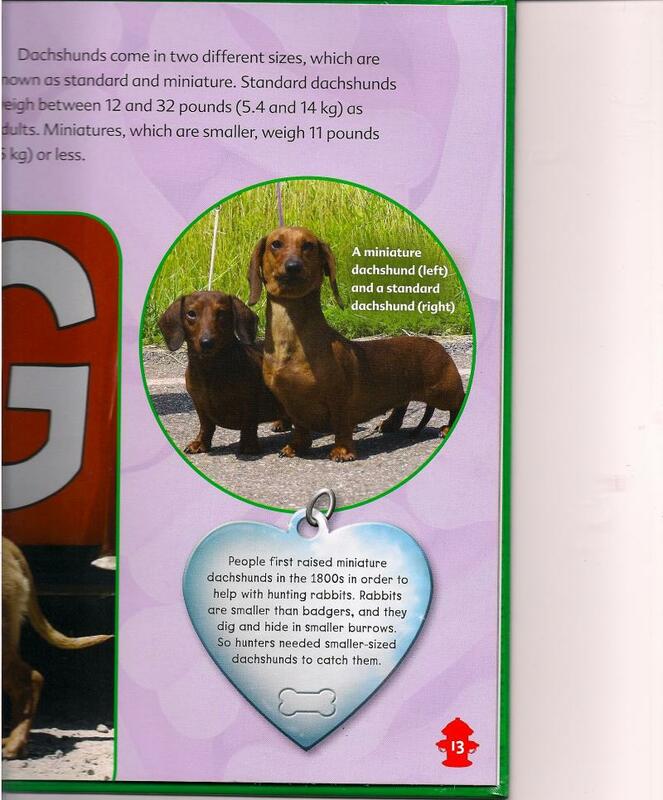 Willow and Clayton ( both now retired) pictured in the Little Dogs Rock Series Dachshund book by Bear Port Publishing. 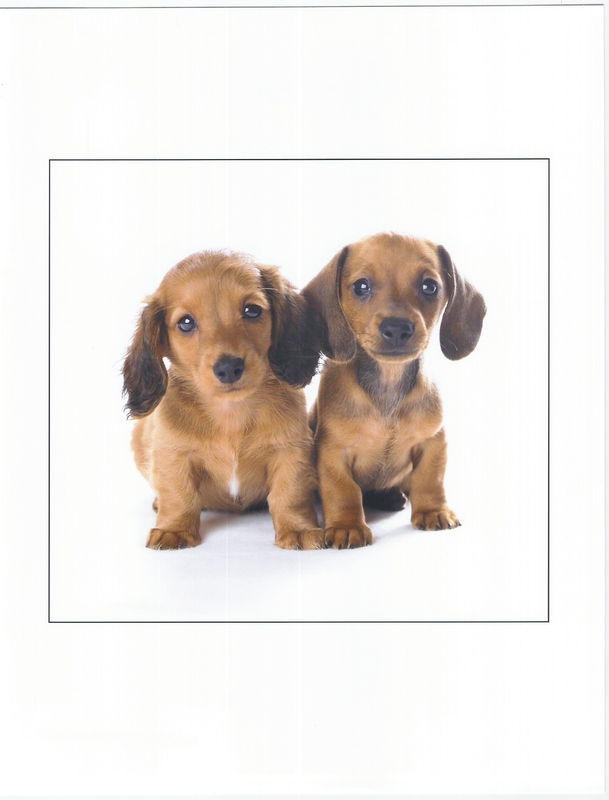 They were used to compare a standard dachshund (Willow) and a Miniature dachshund (Clayton).